Determining your wedding guest list is no easy feat. This is an area where everyone has an opinion, but it’s important to remember that not everyone gets a say! While you should take your parents’ opinions into consideration, depending on their financial contribution to the day’s events, you don’t need to take it as a final say. At the end of it all, this is about you and your future spouse. So we’re putting together a list of tips when it comes to planning your guest list to help you navigate the murky waters. The first step should be sitting down with your partner and discussing two things: what your budget is and what size wedding you have in mind. This will obviously have a large effect on the length of your guest list. If you have a tighter budget, you’ll probably have a smaller wedding. Likewise, if you want to keep things more intimate, you’ll have a smaller guest list. Discuss in a general sense what kinds of guests you picture having at your big day -- all family? A handful of close friends? Or everyone and their brother? This will get your brains on the same page before you start really digging into the specifics. Unless you have a strained relationship, you’ll most likely be starting with parents, grandparents, and siblings. You can move onto your aunts, uncles, and cousins from there. Starting with your closest relationships and stretching out from there. If you’re having a smaller family, you’ll most likely pass on the majority of your distant relatives, unless you have a close relationship with them. That being said, if you’re worried about hurting feelings, some older relatives may appreciate an invitation just out of courtesy, even if you know that they will most likely not be attending. As much as you may like, it’s pretty much impossible to invite everyone, so you may need to start making some tough decisions here! This is where things can really start to get tricky depending on how much you’re trying to constrict your numbers. Our recommendation is to stick with your closest pals. This is definitely a group decision as your partner may have a good outsider view on some of your relationships with friends. Also, just because you may have been invited to someone’s wedding, doesn’t mean you need to extend an invitation to yours! They may have been working with a larger budget/guest limit than you are. This is about you and your partner committing to forever, so only include those who you can’t imagine the day without. We’d also like to take this time to state that inviting exes to a wedding is never a good idea. Period! Another area where things can get messy is the extension of invitations to your colleagues. Who makes the cut? Who is appropriate to invite? Well, it totally depends on your situation! If you have a couple of really close co-workers who you would like to be there, then go ahead and invite them. If you’re close with your boss, that’s fine too! This is another one of those areas where you can unintentionally hurt people’s feelings, so try to keep that in the back of your mind. While it is your day and you should invite who you want, remember that when all is said and done, you have to work with these people still! If the idea of picking who can and cannot get an invite is too much, don’t invite any of them. No one will think anything of it. Plus ones can very quickly get out of hand. Our rule of thumb for keeping a handle on things? If you’re not in a serious relationship, no plus one! Sorry! Friends and family can’t expect for you to extend the courtesy of a plus one if they’re single. Even if they’re in a new relationship, you don’t need to feel obligated to invite their new beau. How do you make it clear that you’re not giving them a plus one (or that you are)? 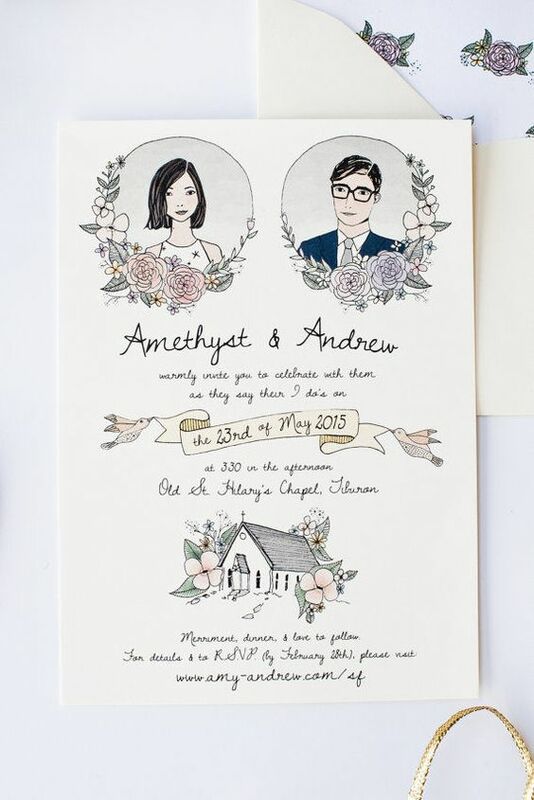 Address the invitation to only that one person, or to both people if you’re extending an invite to their partner. This makes it very clear and also says “here’s an invite for you as a couple” not “here’s a plus one for you to bring whoever you want.” It’s a special day, you don’t need strangers attending if you’re looking to keep things intimate. Do you include your friends or relatives kids on the invite? It’s totally up to you! In our opinion, it depends on ages and what your vision is for the day. If your cousin Susie has 5 teenage sons who you aren’t close with, it’s safe to leave them off the guest list. If you want an adults only event, that’s totally fine! If you have a good relationship with some of the kids, it’s also totally fine to extend the invitation along to them, too. Even if they’re not contributing financially, sit down with each partner’s parents and get their take on things. How awful would you feel if you somehow missed an aunt or uncle just because you were overwhelmed with the decision making process? It’s a good idea to have a second and third check! Your parents may be insistent on certain relatives or family friends making the list that you didn’t originally have making the cut. Sit down and have a conversation about it. If you’re really set against it, explain why and hold your ground. If you’re on the fence but really want to keep things small due to budget constraints, offer to send an invitation if your parents are willing to pick up the extra expenses incurred from the extra guests. If they want them to attend so badly and you don’t care, it’s okay to ask them to pick up the tab.